Katie Jaxheimer Agarwal is VP of Operations at Maven, where she leads the company’s operations and finance functions. Prior to Maven, Katie led investments in science education and social-emotional learning for the S. D. Bechtel, Jr. Foundation. Previously, Katie was a Principal at The Parthenon Group, where she managed consulting engagements for private equity, corporate strategy, and government clients. She also co-developed a low-cost brace for children born with clubfoot in developing countries and evaluated new ed tech investments with NewSchools Venture Fund. 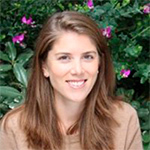 Katie holds an AB degree in Economics from Dartmouth College, as well as a MA in Education and MBA from Stanford University.